Demand Responsive Transport (DRT) is an emerging type of flexible transportation in which vehicles are able to adjust their route in real-time and in response to demand; instead of following a fixed route or predetermined timetable. In order to run smoothly, and to best serve every passenger effectively, a fleet of vehicles should be able to pick-up and drop-off passengers in locations that are as close as possible to their original and final destination, Shotl technology is making this possible. Since March 2017, Shotl’s platform has been revolutionizing DRT, as it is able to match multiple passengers headed in the same direction with an available vehicle. 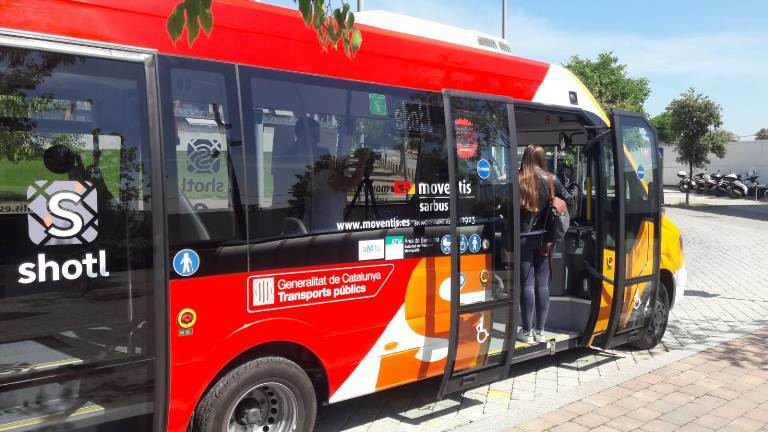 This innovative software empowers transport operators and municipalities, helping them to make better use of their transportation assets along low-ridership routes; by bolstering services with on-demand buses. The implementation of Shotl technology has helped to provide a better overall supply of public transportation services in areas with very low demand; localities where regular bus services are not affordable, such as rural and suburban neighborhoods. Right now, pilot schemes in both Valencia (Spain) and Lisbon (Portugal) are helping to bring improved service and accessibility to passengers with physical disabilities. The function of the transportation authorities in these cases is to dispense a social service, as opposed to developing a strictly business-oriented solution. Public transportation companies that are interested in improving operations. City planners who are willing to offer innovative transport initiatives to their citizens. Taxi dispatchers seeking new shared business models. Business parks and college campuses providing internal transport for employees and students. The Shotl team is looking to partner with transport operators and city authorities all over the world. We can help in delivering innovative solutions that make sustainable mobility a reality. By providing all the necessary technology, knowledge, and technical assistance we are able to make transportation services more flexible, accessible, energy-efficient and cost-effective. If you’re interested in finding out more about the Shotl on-demand bus platform or if you want to arrange a meeting with one of our associates, please contact us at hello@shotl.com. At Shotl we are proud of our mission and we're firmly focused on creating a new type of mobility that's able to free our cities from cars. Because sharing is better than owning, let's build safer and healthier streets.